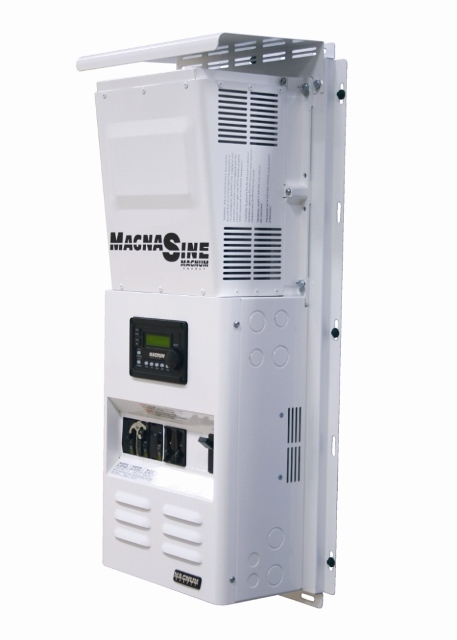 Magnum Inverter Chargers, interconnection systems equipment and accessories are a solid base to build a back-up or off-grid power system. Magnum Energy Inverter Charger comes in multiple power models from 600W to 4400W and 12, 24, and 48 volt configurations allowing you to choose the model that is right for you. All Magnum Inverter / Chargers are backed by a three-year or two-year limited warranty. If you are experiencing magnum inverter charger problems, please do not hesitate to contact us, we are a Magnum Energy Inverter Chargers Authorized Warranty Repair Center.